FORMER FINE GAEL junior minister Lucinda Creighton has denied that she is recruiting members for a new political party. A story on the front page of today’s Sunday Times suggested that the Reform Alliance TD had attempted to round up the makings of a party in the hopes of challenging in the 2016 General Election. However, speaking on RTÉ’s The Week in Politics today, Creighton said that’s not exactly the case, but she does believe that another party is wanted by the Irish public. “I am very much inclined to try and find a way to work with others and to put something before the Irish people that they can see as being different from the existing political parties, that they can see as offering them a new vision for the country. The programme also discussed the banding of independent TDs, with Shane Ross saying that the public now “expected more” of TDs. Email “Is Lucinda Creighton recruiting for a new party?”. 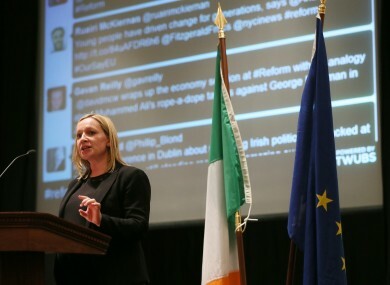 Feedback on “Is Lucinda Creighton recruiting for a new party?”.